It was back in June when the Mariah Carey pregnant rumors surfaced. This all happened when Carey turned down a leading role in Tyler Perry produced show. 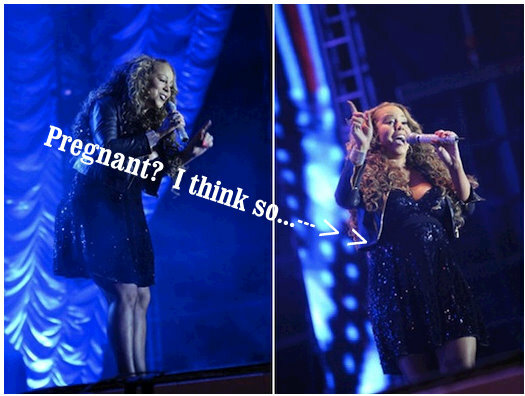 This move by Mariah Carey sparked the rumor that the 40 year pop diva star may in fact be pregnant. So now here we are about 2 months later and new pictures have emerged that just about solidify the argument that indeed, Mariah Carey is pregnant. The images above show, in my opinion conclusively, that the singer superstar is indeed expecting. Does anyone have any other info to share?